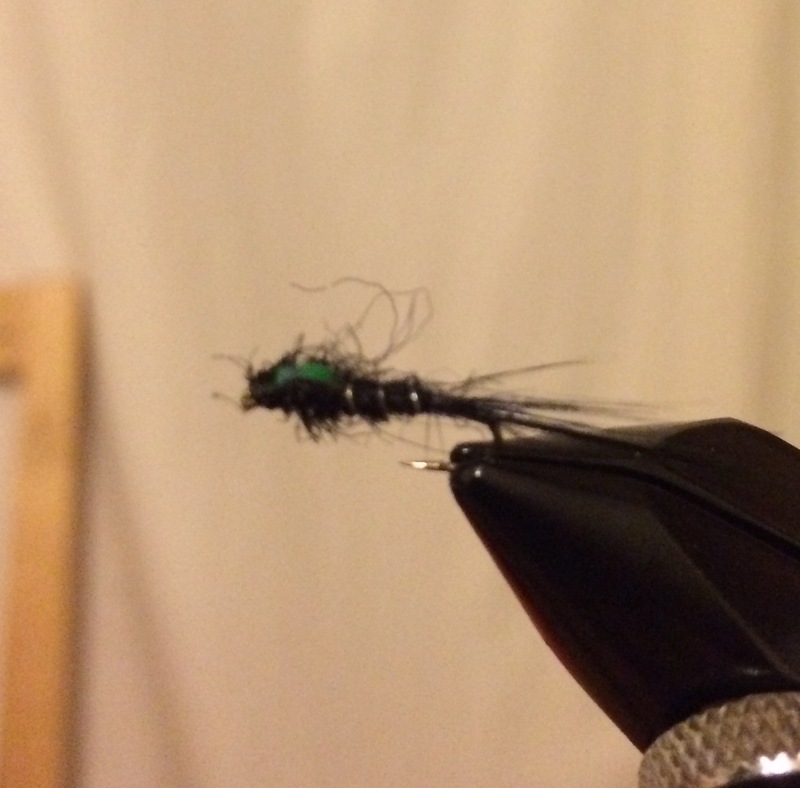 I’ve been tying quite a few flies recently but these little black and green nymphs have proven quite successful over the winter on smaller waters. 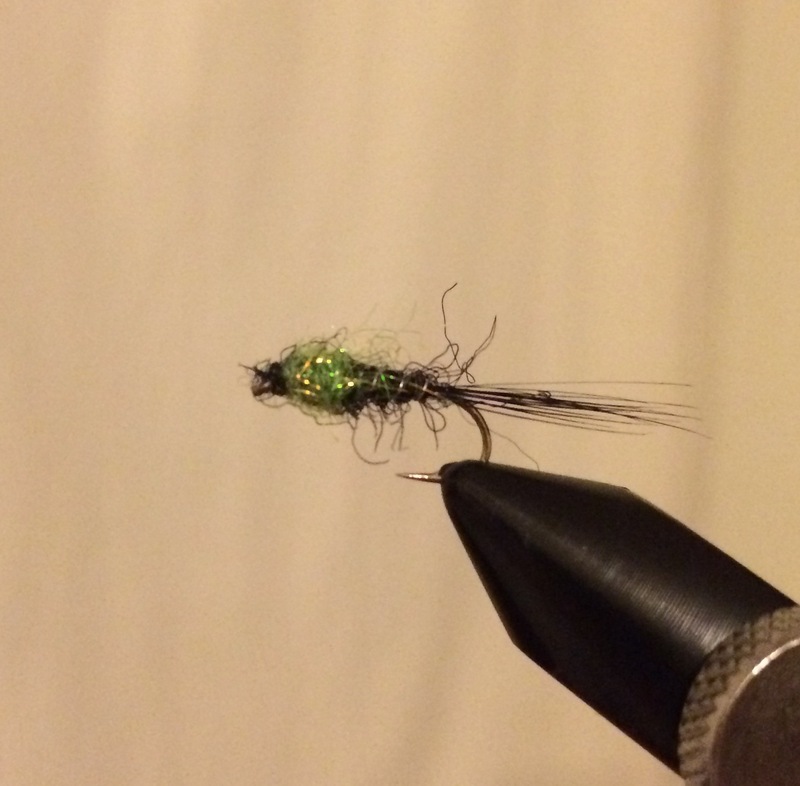 It may be due to the warmer weather but in my local small fisheries, the trout have remained fairly high in the water and seem to be put off by anything large or gaudy. 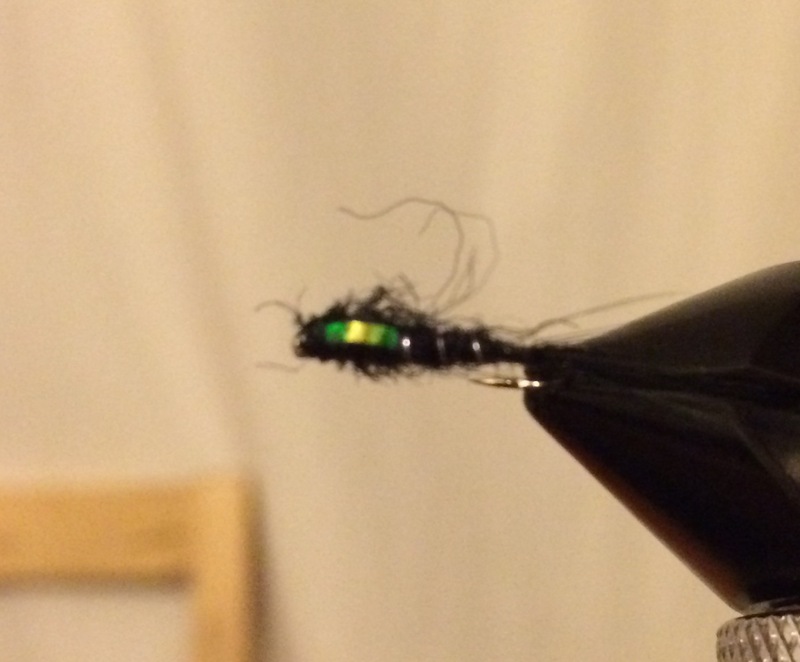 These nymphs are simple to tie, just a small pinch of black hen hackle for the tail, a little black dubbing held on with thin silver wire and then a slightly enhanced thorax – either black with a small strip of pearl or a pinch of lime green dubbing.